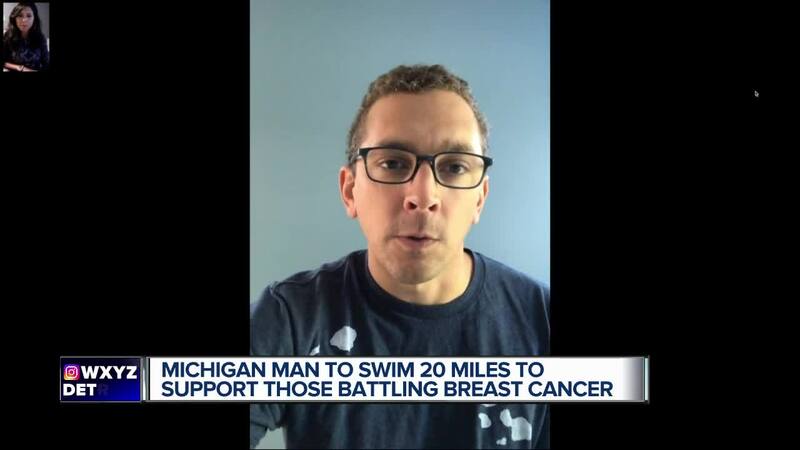 A Holland, Michigan man will swim 20 miles on Tuesday, Sept. 4 to honor his mom and help others battling breast cancer. The journey will take place in the open waters of Lake Michigan. Nick Hobson has been swimming for as long as he can remember, he said. Now he's getting ready for a journey unlike any other. And he's doing it to raise money for The Pink Fund , a national breast cancer foundation which is located in Michigan. In preparation for the lengthy swim, Hobson has been training by swimming 10 to 15 miles in a pool and lake for the last three months. What started Hobson's desire to raise awareness of breast cancer is his mom's battle with the disease. He remembers as a kid, coming home to his mom crying on the couch as she was battling breast cancer. "I've witnessed the impact that disease has on not only the individual and a whole family," Hobson said. "Now (I have) much greater appreciation for the impact. Luckily mom is still with us." Hobson has a goal of raising $5,000 through his effort. 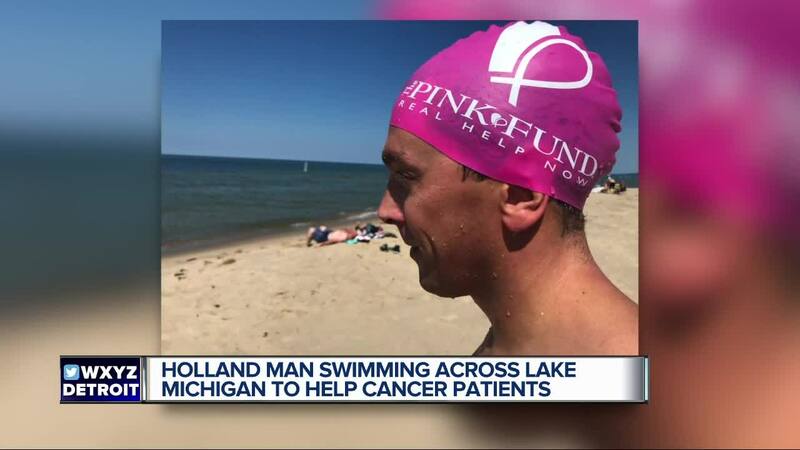 His journey will begin in Holland, Michigan, then he will swim to Grand Haven. All proceeds will benefit The Pink Fund, which is a nonprofit organization that helps financially support those battling breast cancer as they undergo treatment. It's based in Rochester Hills, but serves people around the county. To help Hobson reach his goal, you can donate here . His journey will also be tracked here for the public to follow along.